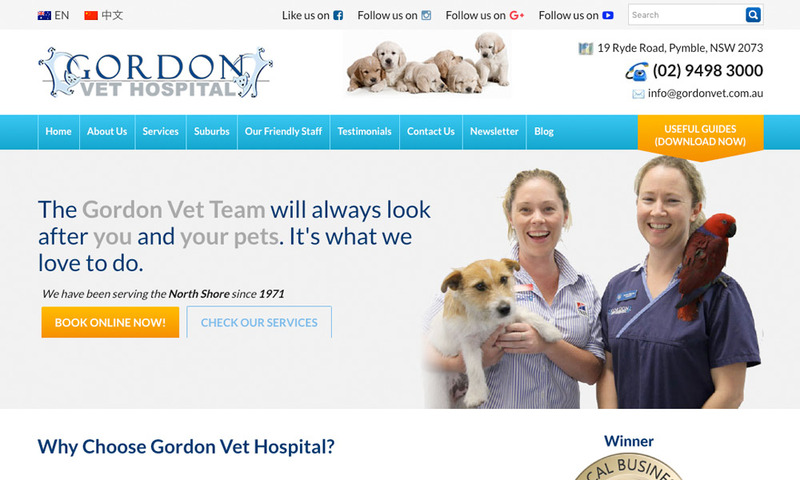 Gordon Vet Hospital is an independent hospital that has been serving the North Shore since 1971. They pride themselves on providing professional care for animals, together with compassion and understanding to all owners and their pets. This hospital has a great partnership with Scott Lackenby and David Loneragan, who are supported by an amazing team of caring and experienced vets and nurses. On top of that, Gordon Vet Hospital is fully equipped with all the necessities, facilities, and expertise, to provide you with the best patient pet care. They have long opening hours, which means that you can always stay at ease, knowing that they can be reached 24/7. Everything you need to know about their services, you can find on their regularly updated website GordonVet.com.au. Gordon Vet Hospital has a team whose primary goal is to look after your pets, while providing great customer support service to their owners.